This Picturesque Traditional home evokes an enchanting vision of romance and tranquility. 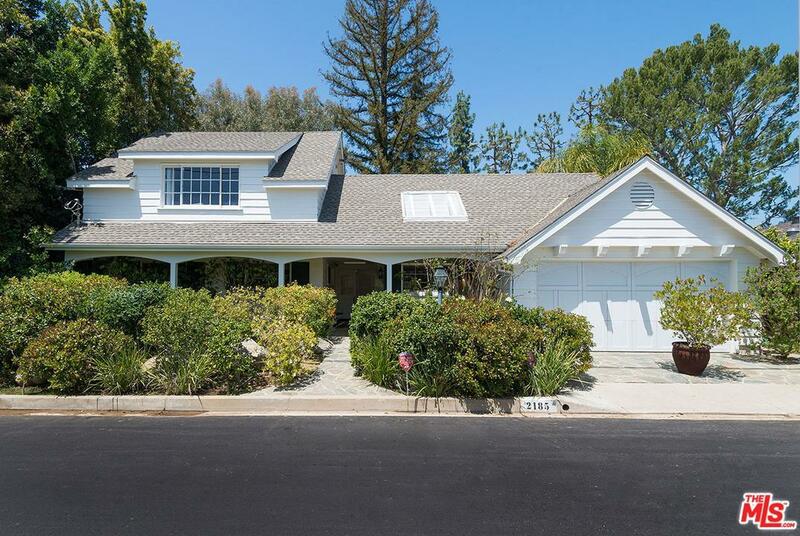 Located in the award-winning Roscomare school district of prime Bel Air, this home is sited on a nearly half-acre of gorgeous grounds with beautiful canyon views. Enjoy sophisticated country living in this warm and welcoming home. Enter into the foyer leading to the living room with fireplace, bar, and dining area. There is a private study or office off of the living room, and the spacious gourmet kitchen is complete with butcher block island, generous cabinetry and countertop space, and breakfast area. First floor expansive master suite featuring high beamed ceilings, French doors opening to the backyard, and spacious master bath. Three additional first floor bedrooms and upstairs offers a family room or guest bedroom suite with built-in wet-bar and bath. The backyard features flagstone pathways, spa, and deck all overlooking the lush canyon views. Sold by David Pinkham BRE#00526877 of Pinkham Estates Realty.